UPDATE: Congrats to lucky winner #187 - Dana! Thanks for entering everyone - loved reading about all your Christmas memories! Giveaway is now closed. So a couple weeks ago I mentioned I was participating in 24 Merry Days. Today we're ending this amazing project (all blogs and prizes were coordinated by Audrey!) with an amazing giveaway from not 1 but 2 shops! 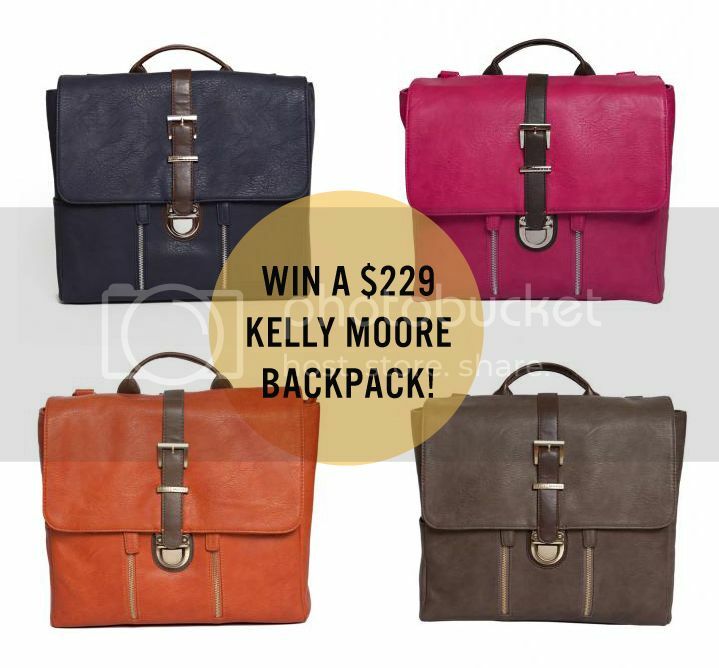 1 lucky winner will receive a Kelly Moore Chapel Bag (retail value $229!) 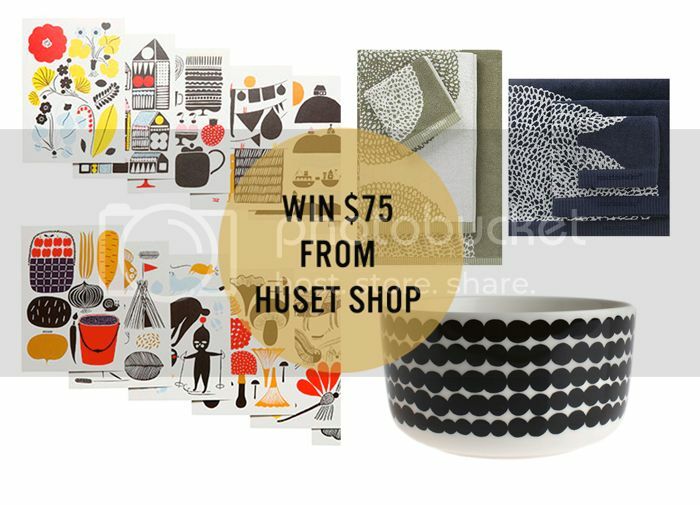 in their choice of color and a $75 Marimekko gift set from Huset Shop. (i like Marimekko!) The Kelly Moore bag is amazing, it can be used as a purse or a camera bag! To Enter: Leave a comment with your favorite Christmas Tradition or memory! Additional Entries: 1. Like oh, hello friend on Facebook / 2. Like Kelly Moore on Facebook / 3. Follow Huset Shop on Twitter / 4. Tweet about this giveaway! Example: "I just entered the @kellymooreclark & @huset_shop #24merrydays giveaway at @ohhellofriend !" Please leave a separate comment for each of the above for your additional chances to win! Giveaway ends at midnight, pst on December 31st. Winner will be randomly selected and announced here at the blog and notified via email. ps: there are still some other wonderful giveaways going on over at The Proper Pinwheel (you can win $100 worth of stamps from my shop!) Lottie Loves, Dust Jacket, Create like Crazy, & Lolalina! A big thank you to Audrey from This Little Street for coordinating the 24 merry days, so fun to be a part of it! One of my favorite Christmas tradition is setting up the christmas tree. I remember as a kid waking up at night and going out just to see the tree all lighted up in the dark, with the presents tucked underneath. It just looked so magical and beautiful! My favorite tradition is having Christmas dinner with my parents and my in-laws together. It feels like one big happy family. My favorite memory is opening presents on christmas morning every year. It was always a 3 to 4 hour ordeal because we would go in a circle and watch each gift being unwrapped. So many funny things happened and so much laughter. i liked hello friend on fb!! i liked kelly moore bag on fb! I'm a fan of Kelly Moore on Facebook. My favorite memory/tradition was decorating the tree with my dad and then him "making me" watch It's a Wonderful Life. I secretly loved that movie. I try and watch it once during the Christmas season. I like Oh, Hello Friend on Facebook too! My favorite tradition is baking Christmas cookies! Fingers crossed! I like OHF on Facebook. I like Kelly Moore on Facebook. What a wonderful opportunity!! Favorite tradition - Christmas Eve Candlelight Service. Love it. Merry Christmas! My favorite new Christmas tradition is going to look at the lights around town with my hubby the weekend before Christmas. I like Kelly Moore on FB. I follow Huset shop on Twitter (@JenMN). That orange backpacks is spectacular! P.S. Make sure you have a box of kleenex nearby! My favorite Christmas tradition is going to my husband's parents' house every Christmas Eve to eat gingerbread, watch A Christmas Story, and sing carols. Reading The Cajun Night Before Christmas on Christmas Eve. My favorite holiday tradition was watching The Snowman while cuddled up with my parents and my stuffed snowman. my favourite christmas tradition is a visit to the zoo on christmas eve day with our kids & family. we started 12 years ago with just our eldest now we have 3 boys & my brother has 2 so it is great fun. It is a great way to occupy the kids, burn off a bit of energy & then come home to a big dinner & open some pressies. This year I had to miss out for the first time in 12 years as I was working. my fondest chilhood memory of christmas is finding the carrot we had left for Rudolf on the front lawn half eaten with big teeth marks in it! Amazing how the same thing is still happening to the corrot my boys leave out, it's a wonder those Reindeer can fly at all. I "Like" oh, hello friend on Facebook. I "Like" Kelly Moore Bags on Facebook. I like baking with my mom, than packaging everything up in pretty boxes with beautiful ribbon and delivering to friends who are always happy to receive delicious goodies!!! I like hello friend on FB! I like Kelly Moore bags on FB! I love new pajamas Christmas Eve! I tweeted "I just entered the @kellymooreclark & @huset_shop #24merrydays giveaway at @ohhellofriend"
I liked Kelly Moore on Facebook. Hi! Our tradition is eat 12 diferent plates!!! my favorite christmas tradition is board games with my extended family on christmas eve. it is the best!!! I don't have any big Christmas traditions, but it'll be nice to start one with my boyfriend now that we're living together. My favorite Christmas tradition is waking up early before my parents and stuffing their stockings and then sneaking back into bed to sleep. Our family has a Christmas Eve sleepover every year! It started out with just the kids but then spouses were added, then pets and now the little ones are part of this awesome tradition. Love! my favorite christmas tradition is singing carols in the morning with my husband before exchanging gifts. a beautiful time of worship. my favorite tradition is the Christmas Eve walk on Canyon Road in Santa Fe, NM. My daughters and I bundle up and head out for an evening of caroling, bonfires, an explosion of color and art galore. Feliz Navidad. one of my favorite memories is opening up pjs for christmas morning, on christmas eve. my sister and i still do that each year, from my mom. i have liked your blog on facebook! i have liked kelly moore bag on facebook! Favorite Christmas tradition? Reenacting the Christmas story with the fam on Christmas morning. My favorite tradition is breakfast and opening gifts on Christmas morning with my daughters. Happy Holidays! Santa comes to German children at 5pm on Christmas Eve. When I was a kid,we had to wait upstairs once it was dark outside so that Santa could leave the presents. Once he was done, he rang a little bell and that was our cue to run downstairs. It was years later we learned that little bell was given to my mother by her 1st love so that whenever she missed him, she could ring it and know he would hear her. Oops. My favorite Christmas tradition is opening presents on Christmas morning. favorite christmas tradition - my grandma's christmas cookies! They are the best I've ever had. we have a very tiny christmas tree from the first year that our family started celebrating christmas and it is my pride and joy to put up this tree every year. my tradition is that each year, i buy one new ornament for the tree. this year, one of my best childhood friends made me my own ornament with my name on it!!! I like Oh, Hello Friend on Facebook. and I like Kelly Moore on Facebook. The day after Thanksgiving, our little family goes out and cuts down out tree in the woods. One of my most favorite days of the year! My favorite Christmas tradition was indulging in the chex snack mix my grandfather gave away to family each Christmas. Only after he passed away did my grandmother share his recipe, which was unhealthily high on sodium. Reduced sodium versions I tried to make just didn't taste as good as Grandpa's, so it's now just a very nice memory. It's weird. I'm more of a traditionalist than my family is.... so i have all these family traditions that I think I'm going to make when I have a family. But probably one of my favorites is stollen... it's a german pastry that my grandma (who is very german) got us hooked on. But it's not christmas without it. Favorite Christmas tradition...watching old holiday classics ("It's a Wonderful Life" and "White Christmas") on the big screen at the local, independent theatre. Favorite Christmas tradition is that every year, me and my four siblings get a movie in our stockings. When we were younger we would all wake up at 3 am, and watch movies until morning. It wasn't often you could get all 5 of us to agree to do the same thing. My favorite Christmas tradition is waiting for my dad to "see if Santa is gone" before letting us all see the tree. I know he's just turning on the lights, but we all still wait for him to do this! Oh, Hello friend liked on FB! I no longer celebrate this tradition but it's my favourite. When we were kids my parents would take us to midnight mass. Afterwards at about 2am we'd start house hopping. We would visit family and friends at about 4 houses throughout the night where there was a party at each one. We wouldn't come home until about 7am and we would open our presents, then go to bed, then wake up in the afternoon to open stockings. I love it so much because it's so unique and because we got to celebrate with absolutely everyone. Favorite Memory - As a kid, one Christmas, I heard bells and heard the fireplace open in the middle of Christmas eve night. Pretty cool! Already like oh, hello friend on Facebook! Liked Kelly Moore on Facebook! Just tweeted @socodivka! :) Merry Christmas! My favorite Christmas tradition would have to be making Christmas candy with my grandmother. She always made Potato Candy, Peanut Brittle, Mexican Wedding Cookies, Truffles, and more, as well as help us kids make gingerbread men and sugar cookies. She died this past October, and I made Buckeye Balls in her honor for everyone at my house this Christmas. :) Thank you for doing this, and Happy Holidays! My name on Twitter is KateBMe57, and I tweeted about this giveaway using your template above. If you can't see it because my tweets are protected and need proof, just let me know. Thank you! My favorite tradition during Christmas time is our annual boxing day (26th) walk with friends from church and then a pint at the pub after! One of my favourite Christmas memories is getting the Christmas tree! There is something about a real tree that makes everything smell and feel magical. It's especially fun helping my parents with their 15 foot tree! I also 'like' oh, hello friend on facebook! My favorite Christmas tradition is to try out new holiday recipes and enjoy the home cooked meals with the family. Happy Christmas! I liked Oh Hello Friend on facebook! The best tradition for christmas time is giving present, just little ones better if handmade, to my old friends! I follow Oh Hello Friend on Facebook! I Kelly Moore on Facebook! I like Kelly Moore on FB! My favorite holiday tradition is giving my son and his dad homemade matching jammies on Christmas Eve, and reading my son a new Christmas book before bed. We've been doing it since he was teeny and even at 13 years old, he still looks forward to his new jams! My favourite memory was watching my baby in the Christmas' Eve near the Christmas tree with all the presents opened. My favorite Christmas tradition is when my family gets together on Christmas eve to decorate sugar cookies! I'm following Holly Hallberg @Huset_Shop on twitter! I've always loved cutting down our Christmas tree at a local tree farm while drinking lots of hot chocolate and then going home to decorate the tree. Such fond memories! I liked Kelly Moore on Facebook too! My favorite tradition is that Santa hides the gifts at our house. Christmas morning is extra exciting, like a treasure hunt (I grew up with this tradition too!). Thanks for an amazing giveaway. Merry Christmas! I already like Oh, Hello Friend on Facebook. Many thanks, and Merry Christmas! I love the family gatherings and hanging out with old friends for christmas! My favorite tradition is the opening of 1 present at a time on Christmas morning. It makes the fun last so much longer and is sometimes quite exciting. I love the ohhellofriend blog. I've been following it for years! it's how I first fell in love with art blogs. I follow Oh, Hello Friend on Facebook! yay! I'm following Oh Hello Friend on facebook! My favorite holiday tradition is sitting in the living room with my sister and drinking hot chocolate. We snuggle under the blankets. It's really nice! Thanks for hosting the giveaway! Happy Holidays!!! My favorite thing about Christmas is getting to see lots of family and friends that come into town. It's always a reunion. I liked Oh Hello Friend on Facebook. I liked Karen Moore on Facebook. My favorite memory is not of the gifts, or the lights, or the tree but of breakfast on Christmas morning. Everyone, relaxed and laughing, passing favorite dishes around, trying something new (that was a tradition, too), and in no hurry. My favorite Christmas memory happened this year actually. My boyfriend heard me joking about starting a roller derby team and bought me a pair of skates for Christmas. This is the guy who does do gifts! On Christmas morning when we were growing up, we always had to wait for Dad to go downstairs first to check that Santa had come. Really he was plugging in the Christmas tree lights, but we didn't know that at the time. My favorite tradition is Christmas morning breakfast with my husband! Our tradition is going to church together and have family dinner. I've always loved driving around to see all the lights at Christmas! baking! always the best with the family! I like Oh, Hello Friend on fb! Baking tiny Christmas croissant-shaped cookies! the blue bag is great! One of my favorite Christmas traditions is making and decorating cookies with my mom and sister. We always have so much fun together! My favorite Xmas tradition is the German pickle ornament that gets hidden on the Xmas tree. The first person to find it on Xmas morning gets a special gift! And I like Kelly Moore on facebook too! one of my christmas memories is of helping my grand mother making fruit cake from scratch. I liked oh, hello friend on fb. Such a gorgeous giveaway - thank you!! My favourite Christmas tradition is going with my darling husband and children to choose our freshly cut Christmas tree - the smell of pine needles and the festive atmosphere is intoxicating! i liked Kelly Moore bag on fb. My favorite tradition is a big breakfast on Christmas morning at my mom's complete with Christmas Vacation playing on the TV and finished with opening presents. I love that my family gets together on Christmas! That's what I look forward to all year! My favorite holiday memory was lighting a chanukah menorah with all of my extended family nearby. I liked oh, hello friend on Facebook! I liked Kelly Moore on Facebook!